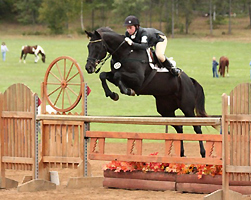 Performance horses are athletes of the equine world. Horse’s bodies are extremely vulnerable to injury due to the strain of athletic conditioning regardless of their discipline. It takes a good team of an educated owner, veterinarian, farrier, nutritionist, and trainer working together to optimize your horse’s health and performance. These activities introduce a new set of stress on a horse’s joints, bones and muscles that may change its health in more subtle ways than usually seen in a routine veterinary exam. This is where VIPs comes in to provide complementary health care. We work in conjunction with your vet to improve the overall health of your horse, rehabilitate injuries and help prevent future injury. These therapies can be part of an overall conditioning program for healthy horses or a method of speeding recovery for injured or ill horses. For a lame or injured horse, VIPs may be able to restore normal movement without the long-term use of drugs which often cause side effects over time. For a performance athlete, VIPs can improve flexibility, biomechanics and strength. 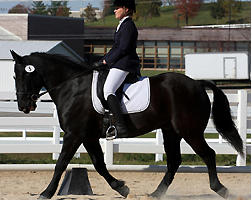 As the quality of their movement improves, the horse can become even more graceful and successful. For arthritic and overweight horse, VIPs can coordinate with your vet for a well-rounded approach that includes pain relief, chrondroprotectants, assisted and active therapies. Because VIPs uses therapies that are non-invasive, that are not painful and that have minimal complications. And most surprising of all…your bond with your horse will grow. 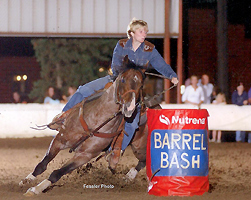 VIPs will teach you techniques to enhance your horse’s strength and flexibility at home. These exercises will help you prevent further or future injuries and educate you in what to look for in your horse’s movements and activities. The positive psychological effects for the owner are often as great as the physiological effects on the horses. How do you get started? Call VIPs today at (319) 241-0530. We will start with an evaluation and treatment recommendation.